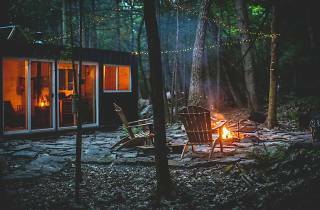 Whether your budget is tiny or lavish, there’s an Airbnb in the Catskills for every type of upstate weekender. After all, you’ll need a place to crash after spending all day trying out, say, the extreme sports on offer or, um, drinking beer and eating charcuterie. 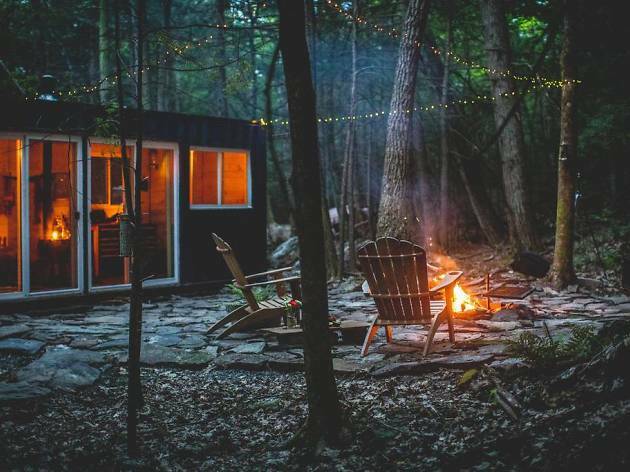 Keep reading to discover eight of the most fascinating properties for rent, whether you want to spend winter in the crisp mountain air of the Catskills region, admire foliage on fall getaways or escape the city in the sweltering summer in search of all the fab things to do in upstate New York. RECOMMENDED: 50 reasons why NYC is the greatest city in the world. 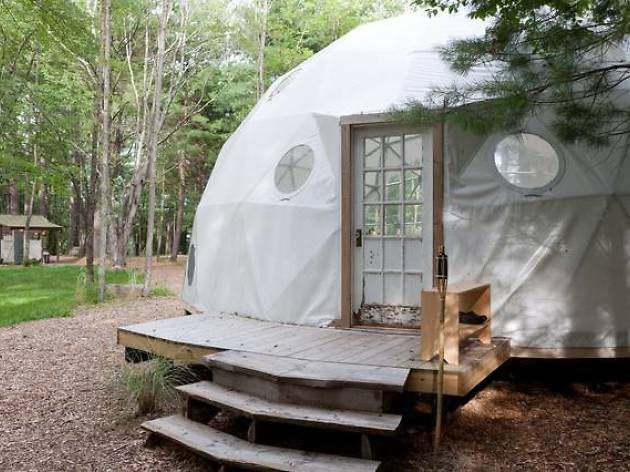 Finally something worth clogging your mates' Insta feeds: a geodome in the middle of the forest. Whaaat. Gaze out onto trees through the latticed framework of your dome and truly feel at one with nature, but, you know, with all the modern comforts of home. Natch. You will need to bring your own bed, but that's where the camping vibes end and the glamping begins. Fancy a soak in a full-size claw-foot bathtub? You got it! How about getting your cook on in the fully stocked outdoor kitchen after a trip to the nearby farmers' market? Consider it done! There's also a load of adorable animals to visit, as the dome is located within farmland, a swimming pond for dogs, daily yoga sessions, a recording studio and – most importantly – high-speed internet. No property better exemplifies rustic luxury than this massive converted barn, with room for up to 12 guests. 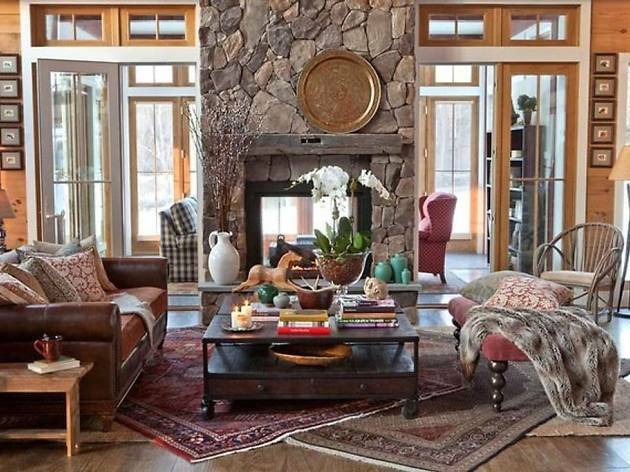 The double-height living room, complete with a stone fireplace and exposed wood beams looks like it’s been ripped from the pages of Architectural Digest. The outdoor space is just as beautiful and features a pond, stone fire pit, and even an Airstream trailer for overflow guests. Addicted to Tiny House Hunters but not quite willing to commit to quarters even more cramped than your apartment? 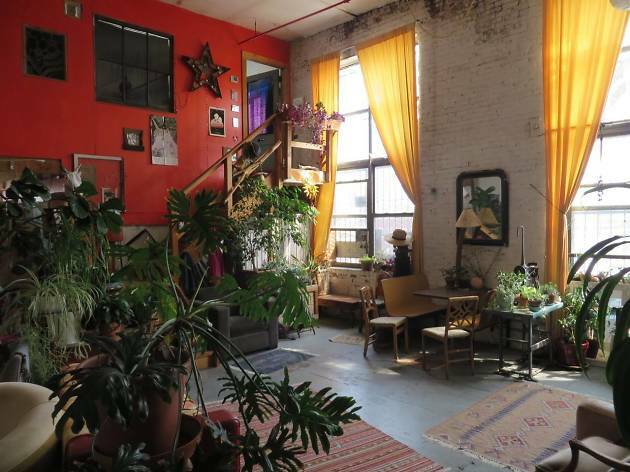 Rent out this charming teeny pad, called “The Flat,” instead. Even with the small footprint, you’ll never feel claustrophobic: the house actually sleeps up to five guests and sits on 28 rolling acres. Bonus: they’re so dog-friendly, there’s even a canine park on site. 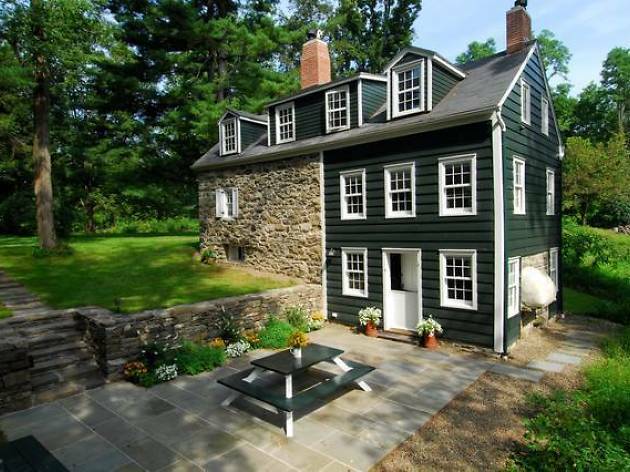 Architecture lovers will swoon over this 200-year- old stone and clapboard home, located in the buzzing college town of New Paltz. The house, replete with exposed wood beams and whitewashed brick walls, has been in the owner’s family for a whopping 10 generations, but rest assured that the electrics and plumbing have certainly seen updates since then. Owners Kate and Mark will even deliver orange juice and muffins to guests on their first morning in the house. 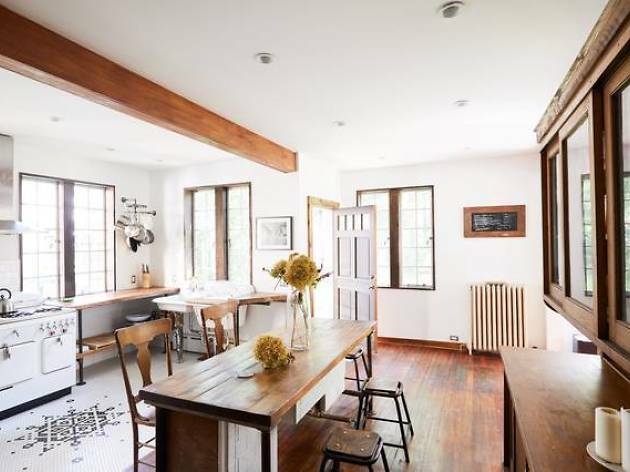 Gorgeous hardwood floors, sun-drenched rooms, and vintage furniture make this four-bedroom home perfect for those hunting for a vintage-chic upstate getaway. Have a sleepover in the “Fez” room, which features a large brass bed, plus a second cozy sleeping area in a loft above it. Design enthusiasts will love the kitchen, which is outfitted with an adorable white vintage range. 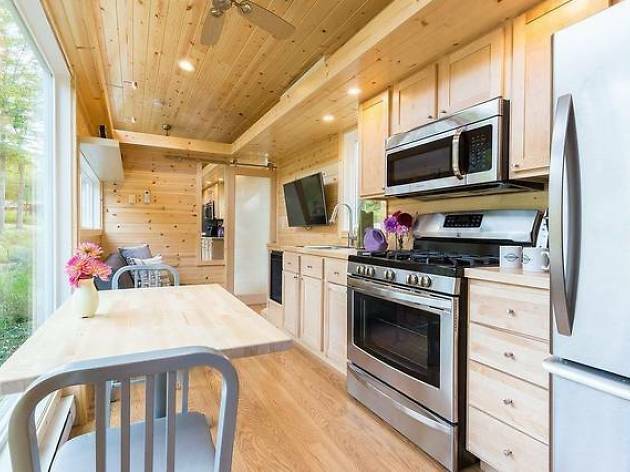 If industrial-chic is your vibe, there’s literally no property better suited to you than this rental, which is actually a converted, 20-foot shipping container. 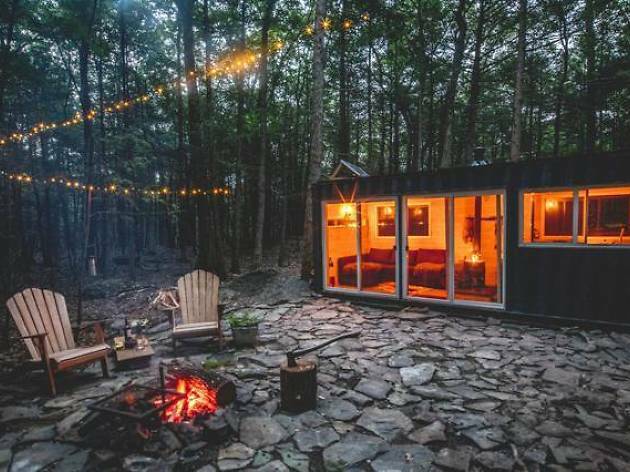 Guests can hike the Catskills by simply walking out the door, but for those in more of a lounging mood, the house boasts a yoga platform, hot tub, and hammock. If you’re chilly at night, simply crank up the Swedish-made wood stove and bask in the hygge. 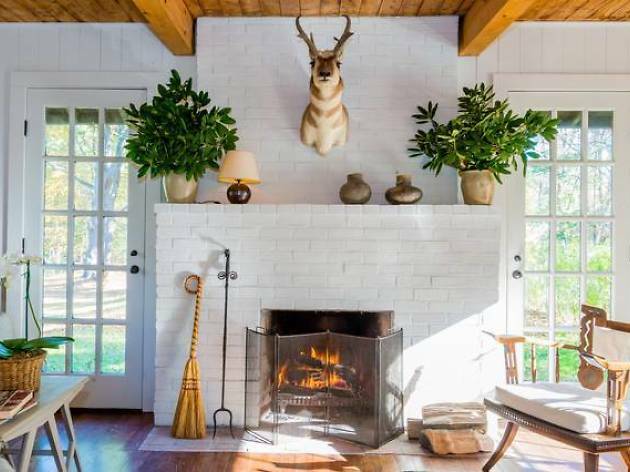 If Joanna Gaines is your spirit animal, this charming spot is for you (yes, there’s shiplap). Formerly part of Camp Ontiora, a girls’ camp from the 1920s, the house has been renovated by owners Kevin and Daniel, who are an architect and designer, respectively. A generously sized kitchen and cozy brick fireplace make it the perfect getaway for winter entertaining. 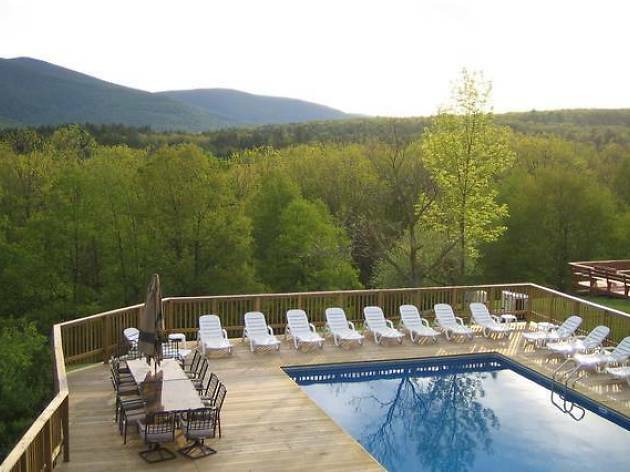 If you’ve ever had fantasies of running your own upstate lodge, this 14-bedroom property can make that a reality. And don’t worry about entertaining your guests: the game room provides everything from slot machines to air hockey, while the bar room boasts two flat screen TVs and a full-size pool table. Outdoor amenities are also plentiful: two year-round Jacuzzis, a professional sand volleyball court, and a 2,200 square foot deck. Looking for somewhere to stay in the city?